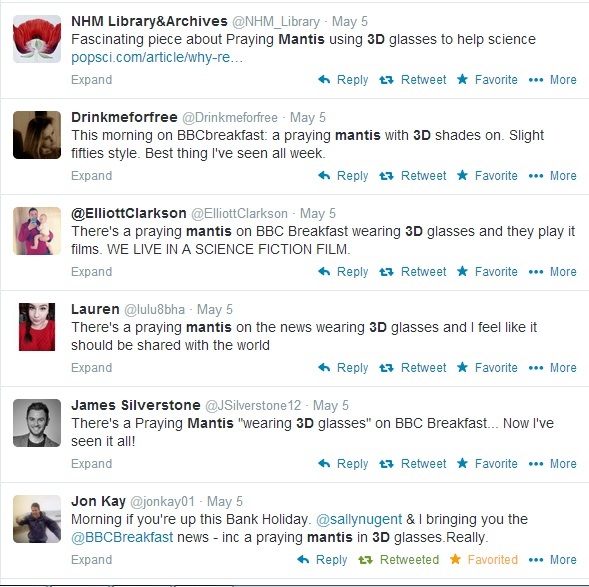 Very nice article by Ed Yong in The Atlantic: https://www.theatlantic.com/science/archive/2018/02/praying-mantises-3d-glasses/552791/. 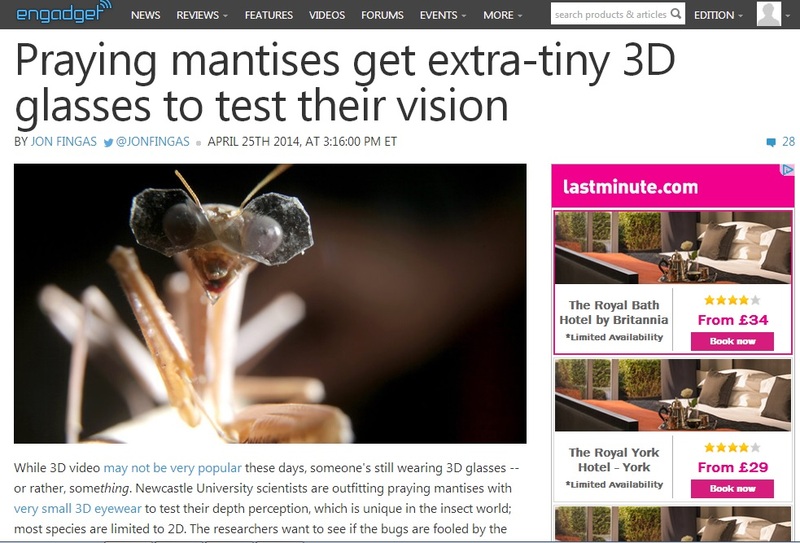 Digital Trends: The key to next-gen 3D vision for autonomous cars is … praying mantis goggles? 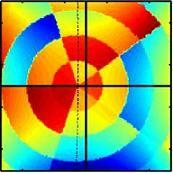 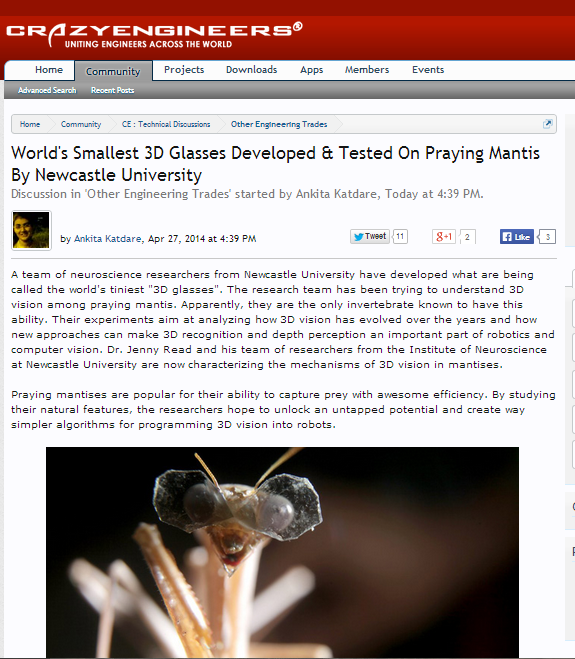 Popular Mechanics: The Unique 3D Vision of the Praying Mantis Could Help Robots Learn to See. 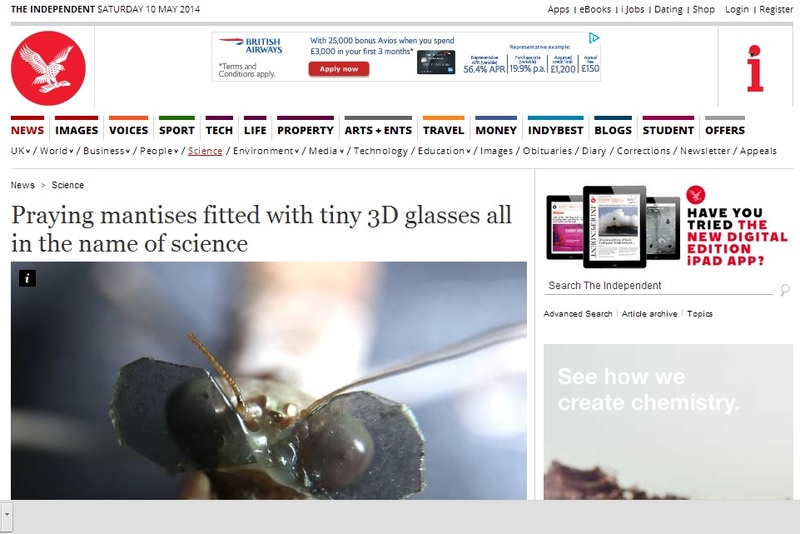 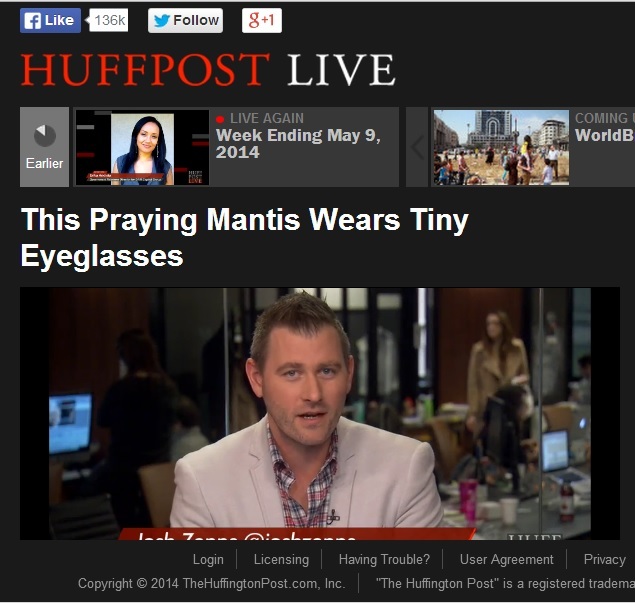 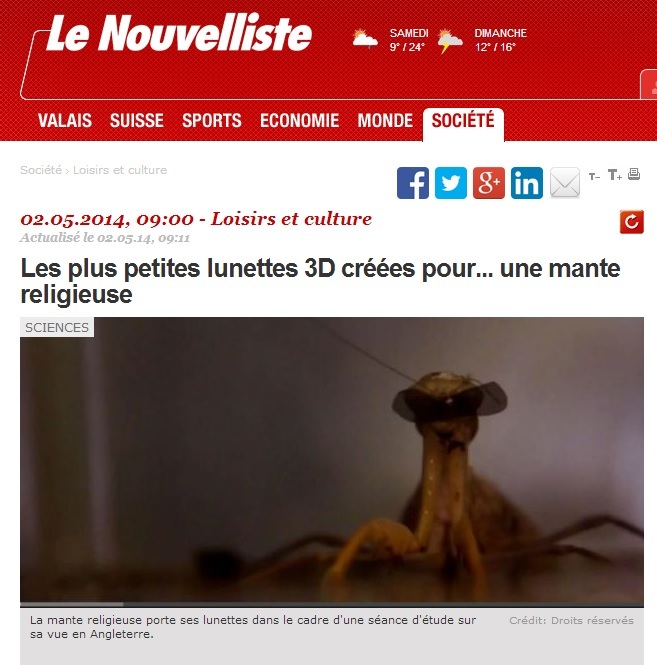 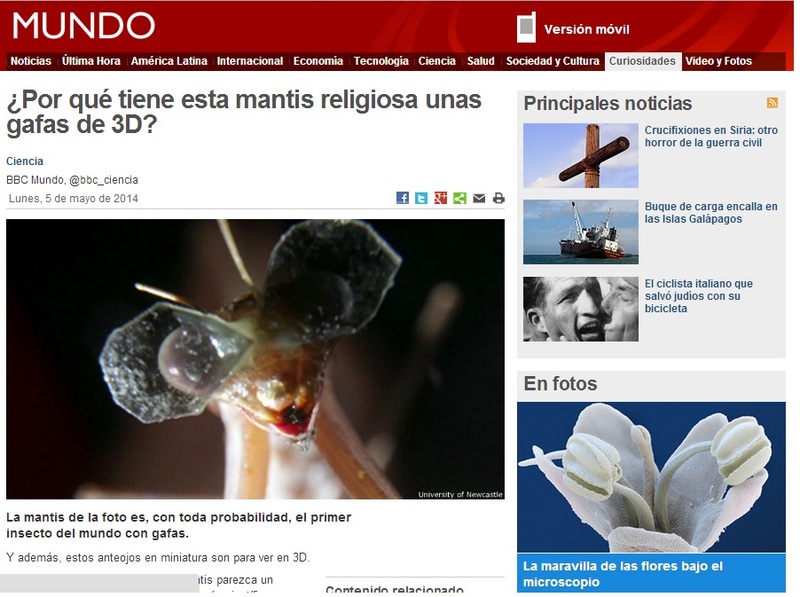 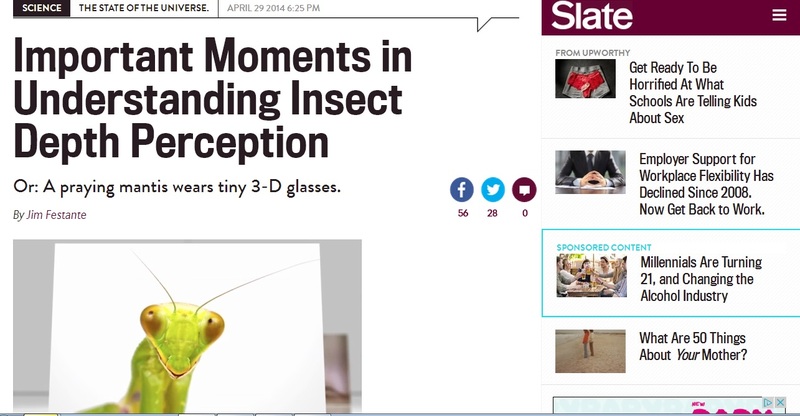 The Verge: Why this praying mantis is wearing tiny 3D glasses. 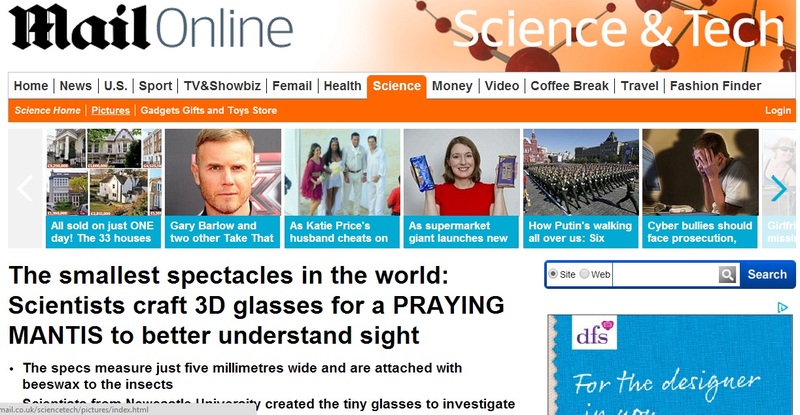 Live Science: What a spectacle! 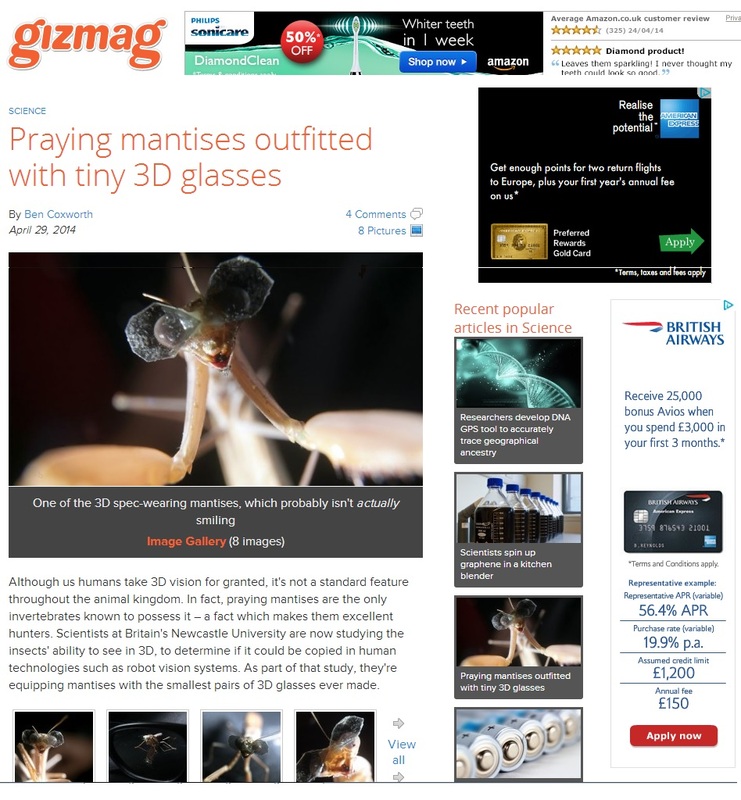 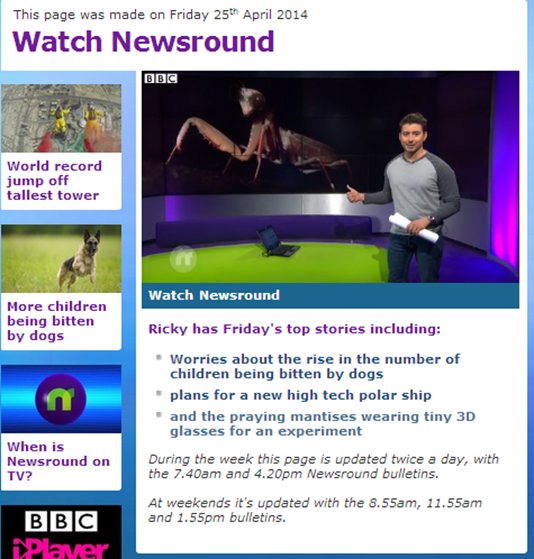 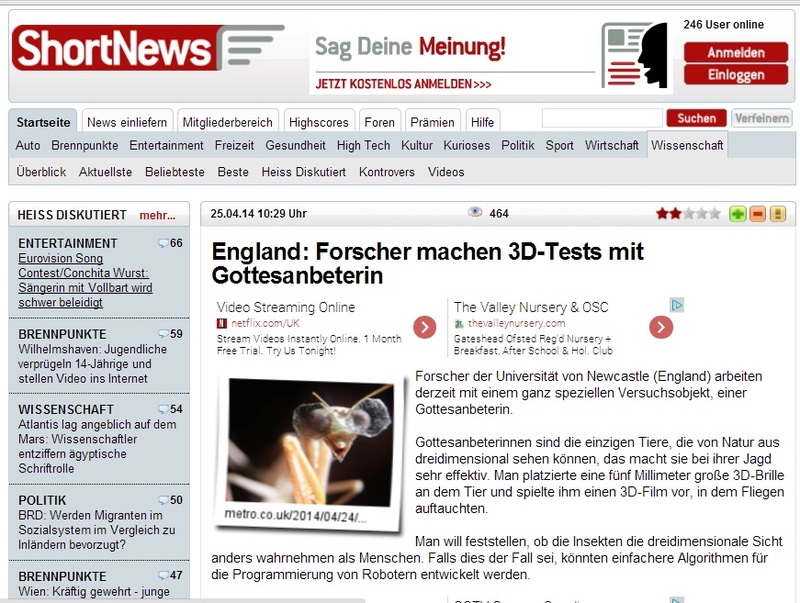 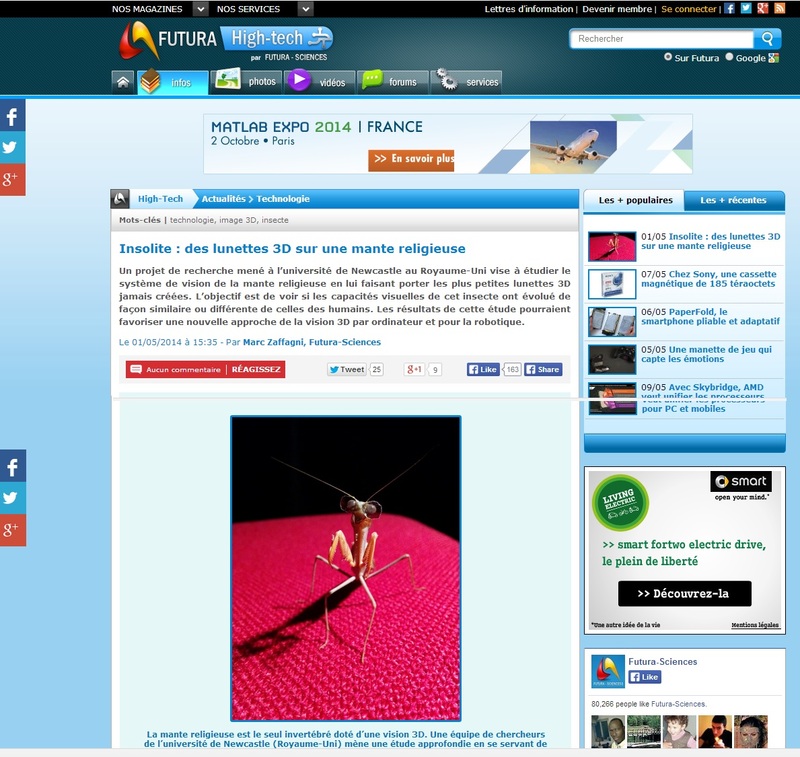 Praying mantises wear tiny 3D glasses for science. 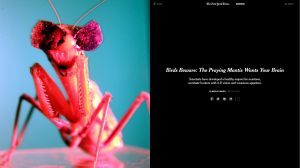 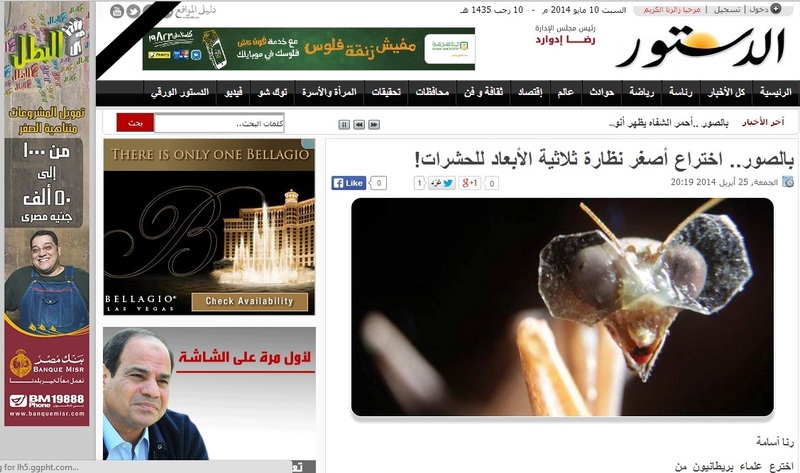 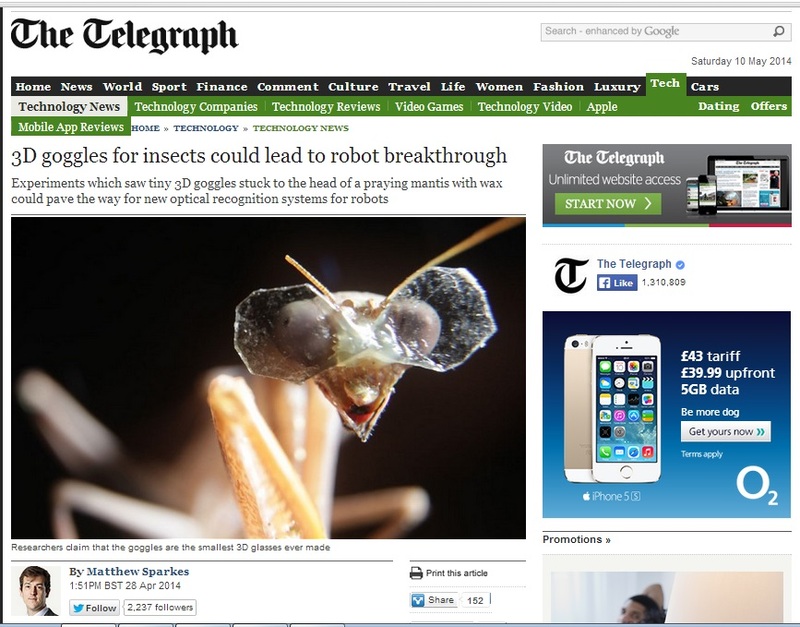 Article in the New York Times on mantises which mentions our work. 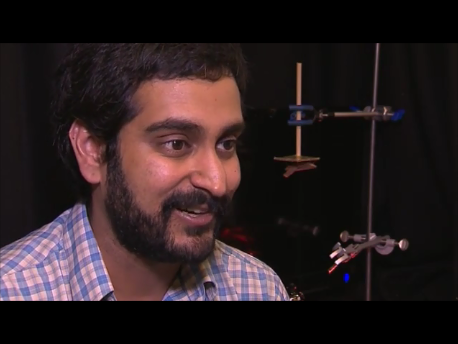 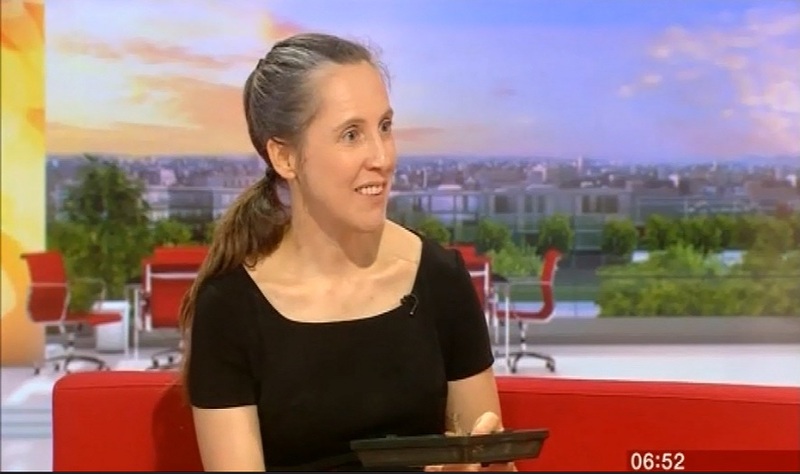 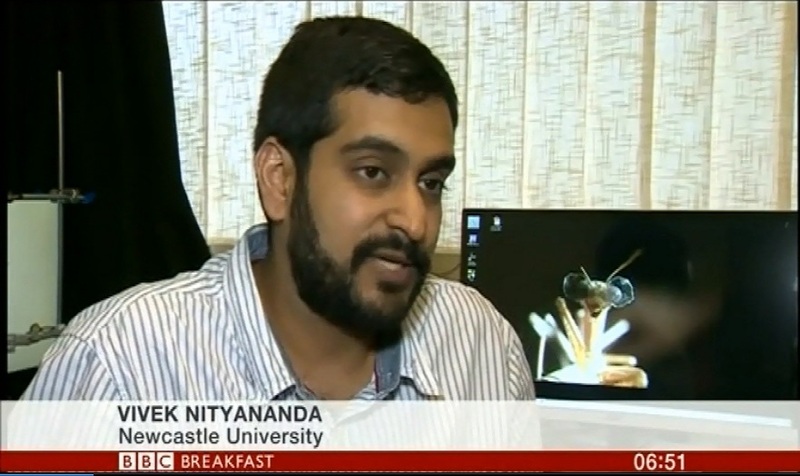 Video from AP TV, which appeared in the Telegraph.